Earlier this week they were crowned winners of the prestigious Australian Music Prize Red Bull Award for the Best Debut Album of 2010. Having kicked off the New Year with massive shows with UK indie darlings Mystery Jets, The Holidays will be heading out nationally in February with the Laneway Festival (alongside Yeasayer, Cut Copy, Local Natives, Gotye), before embarking on their first ever US dates, including multiple performances at SXSW in Austin. The band has been winning raves from various parts of the globe in recent times – including NME, BBC6 and X-FM support in the UK, rave reviews in Japan where the album has just been released by Rallye label (Klaxons, Toro Y Moi), multiple songs in the Hype Machine charts, and coverage from US tastemakers RCRD LBL and Filter. Special guests on the forthcoming national tour will be Ballarat’s Gold Fields who have also been scoring widespread radio support for their debut single Treehouse . Tickets are sure to go quickly for this one so get in early. Tickets on sale from January 31. Tickets available from www.eastbrunswickclub.com and at the box office 03 9388 9794. Tickets available from the venue Mon to Fri 9–5pm (Jonson St, Byron Bay), on 6685 6454 and Oztix www.oztix.com.au or 1300 762 545. Previous PostKINGS OF LEON 2011 Australian Tour dates changed! 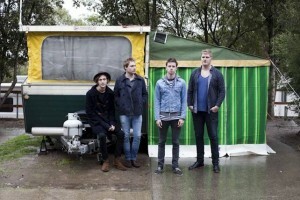 [Tour News]Next PostMGMT headline as The JD Summer Set heads back to Byron Bay for 2011!